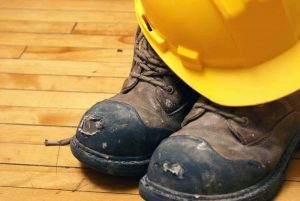 Safety boots are the staple of the working class and while most people prefer to look for the cheapest rather than the best due to the lack of income. We would like to recommend two of the best safety boots on the market today that should help you when it comes to choosing something new and packed full of quality features. 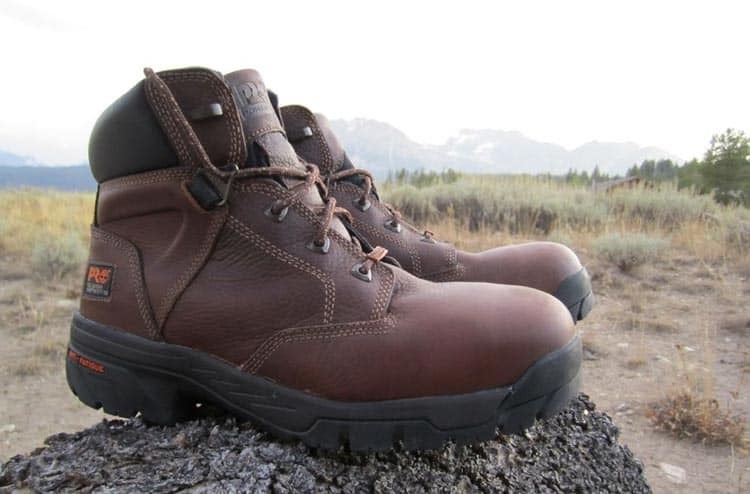 We had the opportunity to test out the Timberland Pit Boss and the Timberland Titan safety boots and while both of them are top quality, many people are still asking which one is the best and which one they should choose. While both of these boots are definitely great, they do appeal to people for different reasons and you might also be a fan of the one, but not the other. If you have never tried one of these boots, this article will definitely be perfect for you and full of good information to use when it comes to these different boots. 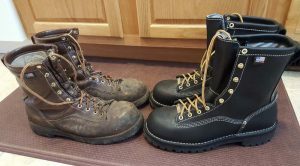 Read on to find out how these boots do differ from one another and which one should work for which type of job or person on the job! The Titan and the Pit Boss are both top quality boots, but they also have a few slight differences that set them apart from one another. We have compared both boots to find out what the differences are and how you could easily see which one you would like and which one should be perfect for you to choose to meet your needs. 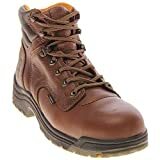 Both of these boots are made from top quality leather materials. However, the Titan is made from full grain leather and tends to be one of the most comfortable boots that you will find on the market today. The Pit boss, on the other hand, features a thick Nubuck design and this will be a little tougher and more rugged as well. Since the leather is somewhat softer on the Titan boot, they tend to be much better out of the box and they have no break in period. The Pit Boss tends to be a little tougher and you will need to wear it for a couple of days to ensure that it does fit comfortably in the end. 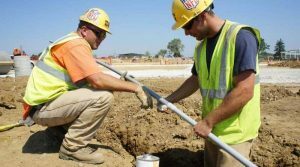 The safety toe does have a major influence on the weight of the boot and since the Titan does have an alloy toe, it is much lighter and easier to use than the Pit Boss for longer working days. 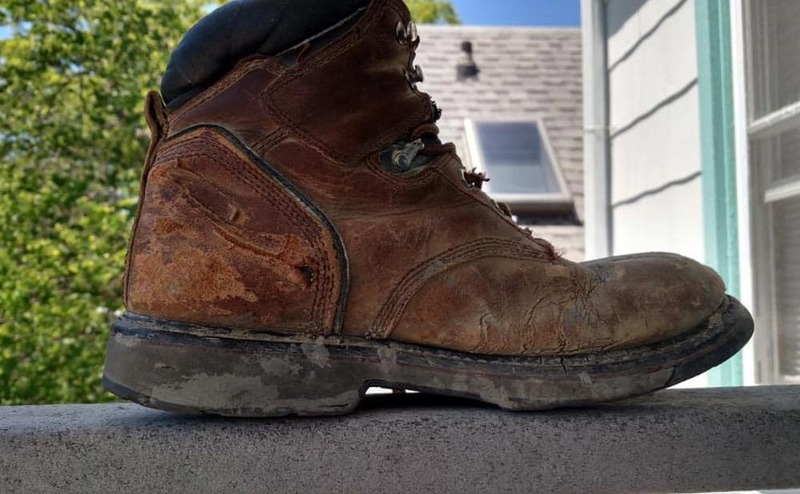 The Pit Boss features a durable steel toe and while this does keep the price down a little bit, it also adds a lot of weight to the boot. When talking about comfort, there can be no denying that the Titan is rated as one of the most comfortable work boots for concrete in the world. It is not only comfortable thanks to the softer leather, but the limited amount of weight also be perfect for working longer hours and making a day easier. On the other hand, we have the durable and tough Pit Boss. It does not have the same comfort level to start with, but it will certainly be a useful boot when it comes to durability. The Pit Boss needs some breaking in and this might not be ideal. It is also a little heavier and will be tough on your feet when it comes to fatigue. The outer sole is greatly linked to the traction of the boot and the more traction it has, the better it will be in different circumstances. The Pit boss tends to have a little better traction in all weather conditions. It is ideal for working in the rain or climbing up ladders thanks to the unique lug pattern it has. The Titan will better for use when it comes to walking on flat and wet surfaces, but it does not particularly hold up well on oily or icy surfaces. The Titan is the boot you will choose when it comes to comfort and not for the traction. The padding and inner lining of the boot are designed to offer the best possible comfort you could have. The Titan is much more padded than the Pitt boss when it comes to the overall design, but the Pitt boss does have some extra padding when it comes to the top collar. Both of them have abrasion resistant inner linings that could keep you from any potential scars and problems that might occur around the ankle and top of the foot area. The Titan tends to be the more expensive one when it comes to purchasing them, but thanks to the features, the Titan does seem to be a great investment if you are looking at overall comfort. The Pit Boss is still a great option to choose from when it comes to the value for your money and we would recommend them as well. Choosing the best one is quite tough and they both have unique features that can be beneficial to your circumstances. The Titan is the better one of the two when it comes to design and comfort, but the Pit Boss is a little better for those looking for more durability. The Titan does have the edge when it comes to resisting fatigue and this is due to the alloy toe that has been used in the place of steel. We would like to thank you for reading this article and we would like to encourage you to share your thoughts and opinions on both these boots. We would also like you to let us know which one of them you would choose and why. If you think something else can also be competitive with these boots, please also let us know to check them out as well.